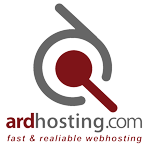 Turhost.com Turkey's fastest hosting provider. We provide shared hosting, Cloud Servers, Dedicated Servers and Enterprise Level Email Solutions in Turkish Market Region. 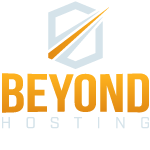 Built and run by geeks for geeks, Beyond Hosting gives customers the ability to create and scale high-traffic websites and applications on fully managed cloud infrastructure. The Cincinnati-based company has evolved rapidly to find its niche among enterprise organizations looking for support for their Software-as-a-Service products. Dewaweb is Indonesia's leading cloud hosting service with super-fast SSD, HTTP/2, 100% Uptime SLA, 24/7 Ninja Support and backed with 90-Day Money Back Guarantee. FullHost offers 100% Canadian hosting solutions in only the finest data centers from coast to coast. We have the full solutions to all your hosting needs. Web Hosting Canada understands your need for speed... and LiteSpeed! Combined with Raid-10 SSD storage in Canada, multi-gigabit networks, Anycast DNS and 24/7 support, experience one of the fastest hosting setups available at a price point that few can come close to. HostVision is one of the main hosting companies in Romania, active since 2001. We provide hosting services to over 13000 customers on daily basis, offering high speed SSD hosting for corporations, SMEs and individuals. PRO ISP has provided top quality web hosting services in Norway since 2002 and is today one of Norway's largest providers of domain names, web hosting, cloud VPS and SSL certificates. iWF Hosting, a brand of H4Y Technologies LLC and formerly iWebFusion Technologies LLC of Oregon, is based in Indialantic, FL. iWF Hosting specializes in shared and virtualization-based webhosting solutions. We're a group of engineers, web designers and programmers but above all, we're genuine people that want to help you. 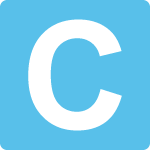 cHosting was established in 2011 and are located in Denmark. We offer some of the fastest and most secure webhosting solutions combined with great and personalized support. 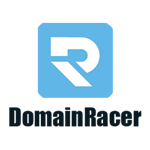 An industry-leading web hosting and complete web solution provider with a human touch. Maintaining owned physical data center in Bangladesh and colocation data center in the USA and EU. 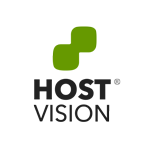 Professional Web Hosting... a powerfull and relaxed web hosting experience. MultiHosting, a leading webhosting company in South-East Europe since 2003, provides a great variety of web hosting solutions.